The US presidential elections are not the only election and political process that has been decided by social networks propaganda since the foundation of facebook in 2004 and twitter in 2006. That had also been the case with all the uprisings during the Arabian Spring in Tunisia, Egypt, Syria, and Libiya as well as the Brexit votum in the UK. Just read the buzzfeed articles on How Teens In The Balkans Are Duping Trump Supporters With Fake News and Hyperpartisan Facebook Pages Are Publishing False And Misleading Information At An Alarming Rate. Social networks provide a medium for propaganda in a way that has never existed before in the history of humanity. Elections in any country of the world can be terrorizedthrough propaganda published by just one click and even for pofit from thousands of miles away. That means: social media networks do have in many ways an extremely negative influence on the politcal independence of single countries. The local morphogenetic and semantical or say language field of a people, country or tribe can be flooded with the emotional triggering and manipulation intended to implant the political aims of global players in other countries right into their spirits, souls and mentalities. Since facebook was founded in 2004 and twitter in 2006 their advertisement has taken over the rule over local information, opinion and political propaganda. And political populism and neofascism are only the natural consequences of that development. US elections are propbably the most bizarr market place competion for advertisement on our planet. Low educated people call it democracy when advertisment machineries are battling and torturing each other with lies, hate, misinformation, emotional triggering. The 2016 presidential elections again represented a new unheard of dimension in the degeneration of the morphogenetic field of a nation. The manipulation of public opinion in the USA was morst probably exerted mainly from within the country. But the global players, capitalist lobbyists and also the russian war propaganda found ways to finance a new dimension of political propaganda from the most improbable places like e.g. 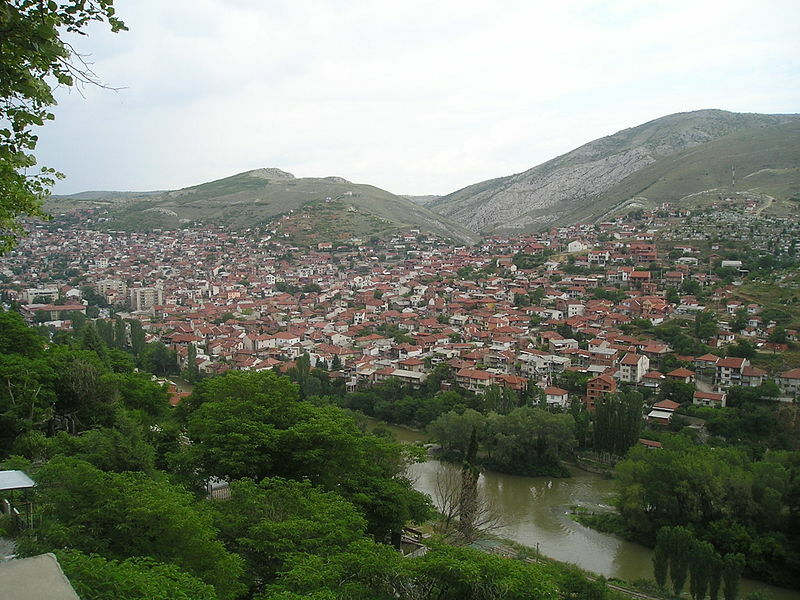 Veles, Macedonia. Astrogeographic position of the town of Veles, Macedonia for morphogenetic field level 1 which describes the international meaning of the town: The astrogeographical latitude coordinate of Veles lies on 19° of air sign Gemini the sign of intelligence, functionality, technology, magic, tricks, information, communication, news. advertisement, signposts, learning, pubercy and the main indicator for US american culture. The second coordinate of Veles falls on 21° of aristocratic, courtly air sign Libra the sign of relationship, balance, harmony, decoration, angels and presentation on a stage. The two astrogeographical coordinates of Veles in air signs form a trine – one of the most productive, stimulative and harmonius aspects in astrology. The example of the Veles propaganda network is a fascinating proof of the potential of the Gemini-Libra combination for advertisement. The resonance of 19° Gemini the sign of liars, smugglers and thieves of the position of Veles falls right in between the conjunction of Uranus, North Node and Sun in Trumps birth chart directly pointing out the intensity of support for Trump from here. 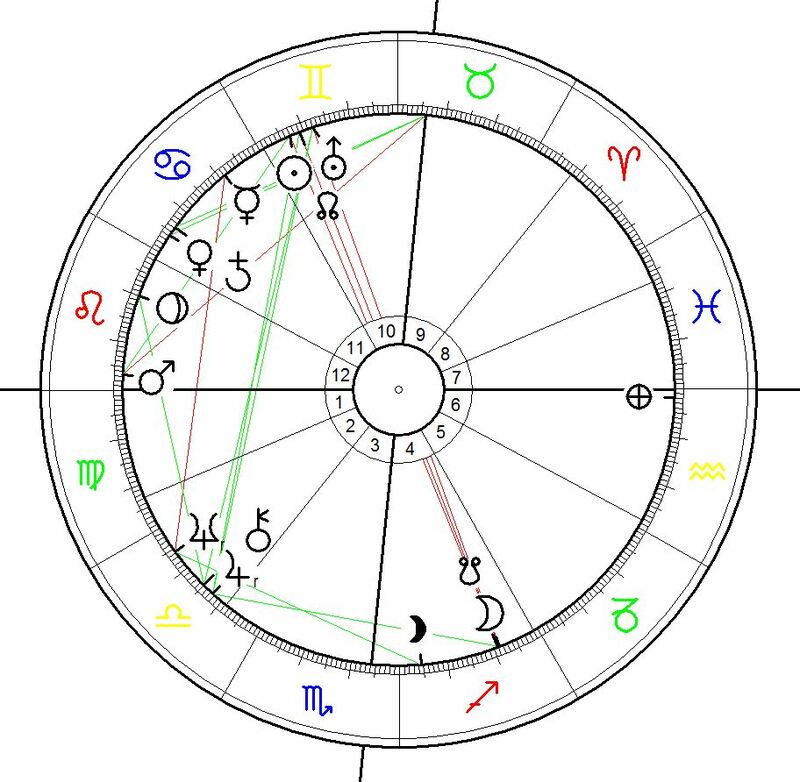 In addition to that the 21° Libra position in a harmonius and stimulative trine to Trump`s chart is a fabulous example of how supportive trine aspects from places to the Sun in an individual birth chart can be.